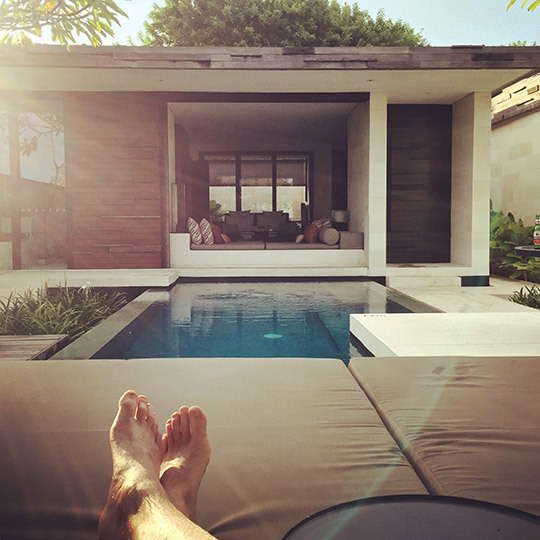 Alila Hotels & Resorts — AI personal assistant concept offering customers a high level of service in their digital customer journey, while booking but also during their stay. While working for Lucas & Mallee and collaborating with Marc van der Meer, we developed and designed a winning concept proposal for a pitch organised by global chain of hotels Alila Hotels & Resorts. Alila has 22 properties in Oman, India, China, Vietnam and Indonesia. They asked us to participate in a pitch with other competing design firms from Switzerland, Singapore and Australia. 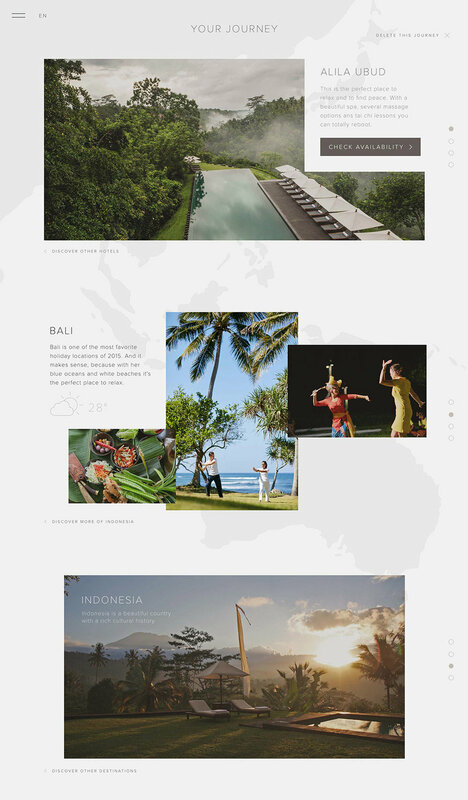 The goal of the pitch was to develop and design a unique concept for the new website of Alila. 'Alila' means in Sankriet: Surprisingly different. So we developed and designed a surprisingly different concept for their website. In January 2016 we presented a concept for an Artificial Intelligence (AI) personal assistent with which the visitor of the website can discover which property in which country they would like to visit. The concept of this '5-star chain of hotels', is based on their high level of service. They call this the 'Alila journey'. They're most famous for it and will make sure you get all the service you need. The idea was to bring this offline high level of service to an online experience, by developing an AI. Meet the 'Alila Artificial Intelligence Personal Assistant'..
Chat as a service is becoming more and more popular. Services as Siri and Echo, but also Facebook chat and Whatsapp are on the rise because it's easier for brands to connect with their customers. This chat service was brought to a next level and formed the key user experience in the pre and during stay at the Alila hotels.. In the pre stay you can chat with the new Alila website and it can help you discover where you want to go. It's asking you questions and you will create your own journey page. If you already know where you want to go, you can also reserve your stay immediately..
During your stay there will be a tablet available with a special Alila Personal Assistent app. This app recognises you and all your preferences and you can use it to order roomservice or to book a spa treatment..
Because of the centered position it works perfect on every device, small or big. 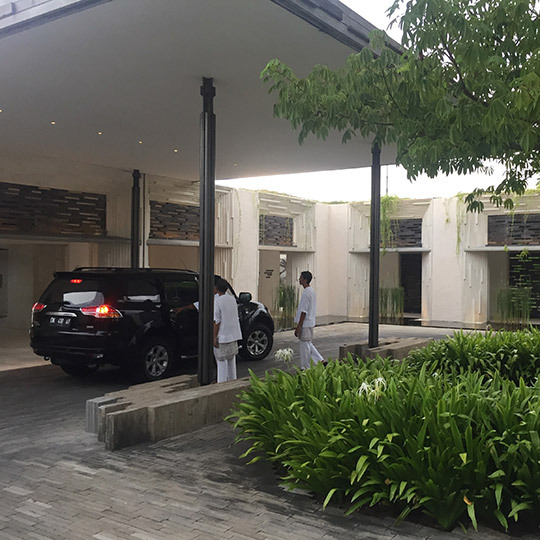 And in billboard and magazine advertisements this 'Personal Assistent' concept can also be used to show potential customers the high level of service Alila Hotels has to offer.